One vendor has this plant for sale.78 members have or want this plant for trade. 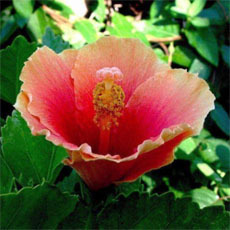 There are at least two different double-flowered forms which come true from seed. 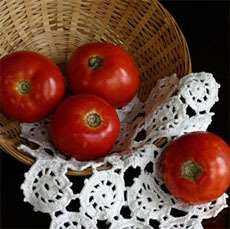 One is flat and has an off-colored center, and one ('Crown White') is pompom shaped and pure white. Both are nice, but I prefer the latter. There is also a golden leafed form. I like the pungent smell the foliage gives when rubbed, though not everyone does. Nice plant. Very long-blooming, and an excellent cut flower. Tolerates some shade. Not long-lived. I've found the self-sowing is an advantage---It hasn't been excessive for me. Perhaps that's because I've only grown double forms, which may be less fertile. Though some forms may self-sow aggressively in gardens, and though the species is widely naturalized in North America, I find no evidence that it's destruct... read moreive of natural areas. I love this little daisy plant. It's lime green foliage brightens the garden and the little white daisy flowers are a welcome sight. I have had a couple of these pop up here and there in my garden over the years and I always leave them. The deer never eat them, and the gophers don't seem to like them either. This year I'm collecting seed and I'm going to try to start a large patch of them under my California live oaks. I have tried many plants in this area and between the shade and the wildlife nothing makes it more than a couple of years. I would welcome a invasion, even if it spills out into the rest of my yard. Three years later and the I'm still in love with this plant. It self sowed under the Oaks, even with only minimum sun daily. It's summer now and a good time to cu... read moret them back. I'll have lots of seed this year! While it's an attractive mounding evergreen herbs, it's also quite capable of taking over your entire herb bed. This is only it's second spring for me, but I am pulling out seedlings hundreds of feet away and like a bad airline companion it is shoving it's way into the seats of its neighbors already. I will heed the warnings saying the 3rd year is even worse and remove it this year. Reluctantly, since it truly is attractive. I just don't want a solid wall of feverfew. Just started growing this plant this year so I can't comment as to its self-seeding or invasiveness. It's a lovely plant and a nice addition to my herb garden. It's welcome to take up space, as weeds are rampant and the more plants I can crowd in, the less space for the unwelcome weeds! I don't know how 'normal' this is for this plant, but again this is its first year, and it is blooming happily right now, even after a few frosts and one good freeze. If it doesn't spread on it's own I will be planting more of it! Lovely blooms that are so similar to chamomile, and so nice to see at this time of year! I just found out what the name of this plant was. I have no idea how it even started in my yard. Its under one of my oak trees and I just love it. Its such a pretty color of green and the little white flowers are cute. Its been growing in the same spot for 3 years now and its not really that invasive. If it comes up where I dont want it I just yank it out. I picked up one feverfew plant at a garage sale a couple years ago. That one bloomed for so long that summer and the foliage was so pretty that I wished it would reseed as profusely as others said it did. This year it looks like I am getting my wish! It looks like it will fill in that area of my garden nicely. The soil isn't very good there and it only gets morning sun but it seems to like it. I find this plant very attractive and hardy. Last year I planted it and my did it self sow! 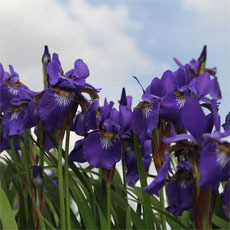 But, they are so easy to pluck, even more mature plants can be simply pulled out of the soil (and can be re-planted!) I chose to allow "extras" to grow a bit before pulling and then I hang them upside down to dry for tea. A jolly plant which self-sows freely. I let it grow here and there, much like johnny jump-up, or yank it out if it doesn't 'fit' where it chose to grow. It's a great white filler, particulary around new plants which haven't reached their full size. A good combo is a swath of feverfew growing under a honeysuckle meandering along the top of my 3-board fence. My feverfew blooms from June-July, I cut it back to about 4", then get another bloom from Sept-Nov. One of the last flowers hanging in during the fall. And yes, it is a great medicinal herb. A regretful negative. It's a lovely plant with attractive foliage and I like the scent. But the self-seeding was absolutely mind-blowing--not so much the second year, but the third year spring there was literally a gentle green fuzz over the entire bed from the thousands of seedlings. That was several years ago and I'm still pulling up volunteers (at least they come out cheerfully). It's either all feverfew (for the species, anyway) or no feverfew in my garden, unfortunately, and I chose the latter. Those who say that it self-sows rampantly are right. I planted bulk seeds among the rocks on the top of a retaining wall around my backyard swimming pool. I had read that Feverfew kept bees, wasps, and other bugs away, and since I'm allergic to bee and wasp sting, I thought that having them around the outer edge of my pool area would be smart. The area is almost literally nothing but rocks too -- very, very little real soil and almost no moisture. So, I thought that Feverfew, since it was supposed to tolerate drought well, would be a good choice to grow there. It has thrived (probably 3 feet wide and tall in bloom), and at the height of flowering, it's stunningly beautiful. Even when not in bloom, the leaves have a ferny look that is appealing. I'm not sure that it works as a bee or... read more wasp deterent, because the first summer that I grew it on the deck, a colony of wasps decided to make its home just a few feet away from some of the Feverfew plants. The plants are lush and flower profusely. They make tons of seed, but they don't look very pretty while making seed (or once they've made it). Yet I like them to make seed so that I can spread them around further. They're a pretty good ground cover for areas that I've cleared but haven't decided what to plant in yet. I've *never* watered them (and they can get a little thirsty looking during hot, dry spells), and while they clearly prefer sun, they've even eventually thrived on the shady side of my pool deck -- a side that gets no direct sun but that isn't really dark, dark shade. They have a distinctive smell when the leaves, flowers, or seed heads get bruised or crushed. It's not unpleasant, but it can become overpowering if you're up close and surrounded by the plants. I lived up in the mountains of Idaho for 12 years, and still have a home up there, at about 4,500 feet altitude. Our average lowest temp is -30f, and average annual snow is 7-12 feet. The USDA zone is 3a, or Sunset Western zone 1a. A friend gave me some feverfew several years ago, which was planted in a narrow, shady strip between my log cabin and a sidewalk. The feverfew has settled in nicely, spreading itself around, between the hostas, and even across the sidewalk to another strip - this one with unimproved soil, full sun, and which gets no supplemental watering. I grow both the single and the double form and enjoy both. 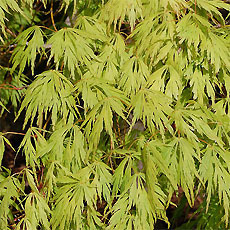 The single form has wonderful lime-green foliage that contrasts beautifully with any plant that has purple foliage. The little daisy flowers are a nice bonus. 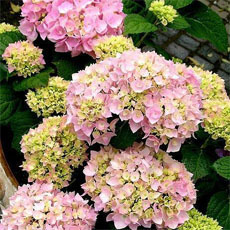 The double form doesn't have the nice lime green foliage, but tends to be a larger plant, more floriferous and with fully double flowers that look like minature mums. Both types self-sow with wild abandon but are easily controlled. 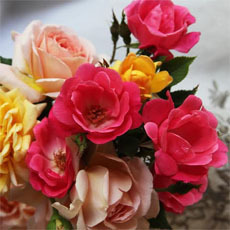 They are also extremely easy to start from cuttings and root very quickly. Our feverfew plants come up voluntarily year after year...never know where one will just announce itself! Not sure if they are natives or not, but they do extremely well in the Ojai Valley. I have always enjoyed their daisy-like petite charm! I grow feverfew white wonder--its been in my garden for over 3 years. This one is a car stopper in my yard--I have had many of my neighbors stop their car and ask about this flower.--its is a gorgeous plant that has very long lasting blooms. Very easy to start from seed. It self seeds somewhat, but with it needing light for germination its is not an overly successful self sower in my garden. 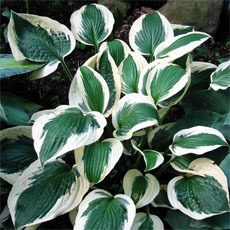 The hardiness rating for this plant is in error-I live in zone 2b and this plant does over winter just fine in my garden without any additional protection other than moderate snow cover. It is not a long lived perennial so you will want to start a few every year to keep them going in your garden. I think this plant is the bomb. I think it gets leggy because it doesn't need much water. I grow it in Colorado, basically a semi-arid desert. I really don't water it much; I recommend that you DON'T irrigate this bad boy if you live back east, and if you must, use drip only as spray encourages leggy habit. Try growing it in aggregate smaller than 3/8", no bark or cedar mulch. Keep the root crown on the dry side and the down low. They say it doesn't smell good, but I like it. It works on migraines, not so much for sinus headaches (Parthenolide). I can't imagine eating this, drinking it's tea, or using a tincture. It tastes gag-nasty. Why do you think the deer and bunnies steer clear? It's very alkaloid! I stuff it into gelatin capsules I buy at Vitamin Cottage. They say 2-3 lea... read morefs, but I need about 7 leafs to work as I'm rather large, more will give you a strange buzz. It's best to harvest leaves and buds just before bloom, that's when it's the strongest. They say it's best to use it daily as kind of a prevention for migraines. Please research more about possible side effects (especially females). The University of Maryland has a great site. I've had some success treating Migraines/Ear problems. This is a great cut flower. Its sprays of little daisy-like flowers are wonderful filler for bouquets. It requires constant deadheading, so plant it near the path. If the whole plant goes to seed, it dies. Short-lived even when religiously deadheaded. Excellent Wintersown plant! I now have this plant all over my backyard and I love it. It will be a constant part of my garden design. I love the flowers, but they self-seed rampantly. They are good "filler" plants. My information says they are hardy in zones 4-10. Light aids germination of seeds. Others have commented on its use as a medicinal herb. I've always heard that it was used to cure headaches, though I've never tried it myself. It does reseed rather aggressively, but it has been so useful for me since it is very hardy, seemingly tolerates poor soil, bad weather, and shade, and is never even touched by deer or rabbits (a real bonus!). It has turned out to be one of my favorite plants. I plant it where nothing else will grow, and I pinch back until early July to keep it from getting leggy. My grandmammy swears by this as a headache cure. A leaf or two helps with a migraine - It has been known to cause mouth sores but then can be prevented by eating it on a sandwich. I love this plant as a fill in. I move self sewn seedling to propagate elsewhere and move large well developed seedlings usually in spring. Blooms in June here - just north of NYC. I keep pinching back through May and plants are not leggy. Pull plants out once blooms fade to avoid the messy appearance. 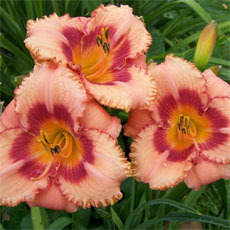 Have grown this a few times and although it grew nicely I was not to impressed with it. It grew very fast and got leggy and spindly quickly, I did plant it in the vegetable garden and it was a nice addition there. I got seeds from a gal in Olean, NY many years ago on this plant and have been growing it ever since. I also grew the double feverfew, but personally, the single feverfew is prettier. My only grief about this plant is that as the blooms die back, leaf miners really make the leaves look nasty just like Columbines do as their flowers die back. Medicinal Action and Uses: Aperient, carminative, bitter. As a stimulant it is usefulas an emmenagogue. Is also employed in hysterical complaints, nervousness and lowness of spirits, and is a general tonic. The cold infusion is made from 1 OZ. of the herb to a pint of boiling water, allowed to cool, and taken frequently in doses of half a teacupful. A decoction with sugar or honey is said to be good for coughs, wheezing and difficult breathing. The herb, bruised and heated, or fried with a little wine and oil, has been employed as a warm external application for wind and colic. A tincture made from Feverfew and applied locally immediately relieves the pain and swelling caused by bites of insects and vermin. It is said that if two teaspoonfuls of tincture are m... read moreixed with 1/2 pint of cold water, and all parts of the body likely to be exposed to the bites of insects are freely sponged with it, they will remain unassailable. A tincture of the leaves of the true Chamomile and of the German Chamomile will have the same effect. Planted round dwellings, it is said to purify the atmosphere and ward off disease. An infusion of the flowers, made with boiling water and allowed to become cold, will allay any distressing sensitiveness to pain in a highly nervous subject, and will afford relief to the face-ache or earache of a dyspeptic or rheumatic person. emmenagogue: An agent that induces or hastens menstrual flow. Also called hemagogue. As always these are homopathic remedies use with reasonable caution. Traditional herb used in 16th century England (and elsewhere?). Leaves v aromatic. Used to ease/ cure 'women's complaints' (cheaper than a new kitchen :-) ) and to reduce fever. Self seeds but not invasive. Interesting but not a spectacular plant. I planted a seedling in a spot that has afternoon shade. I never tended it, except for an occasional watering. It flourished with lots of blooms from Spring until late September. 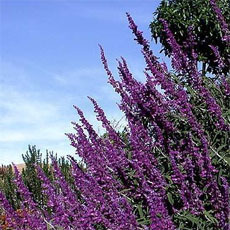 (Zone 9). I hope it reseeds, because the area, it's in, probably won't get really planned until 2004. The deer never touched it. I love it. Best climate is zones 5-7. Biennial or perennial;height 2-3feet;erect stems and foliage resemble chamomile. Flowers midsummer to fall; daisy-like white rays with yellow center. SPECIAL TIPS; Also known as Matricaria parthenium.